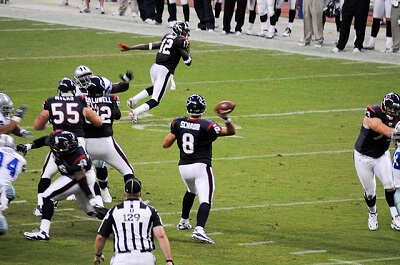 Get notified when Houston Texans tickets are available! The Houston Texans are a professional football team that plays in the South Division of the American Football Conference of the NFL. A newer member of the National Football League, the team was founded in 2002 and won their first division championships back in 2011. NRG Stadium is the official home of the Houston Texans and has operated under its current name since 2013. Previously, the stadium located in Downtown Houston was known as Reliant Stadium. Roughly 72,000 people can attend Houston Texans games at the stadium, and you can be among them by buying Houston Texans tickets online using the links above.